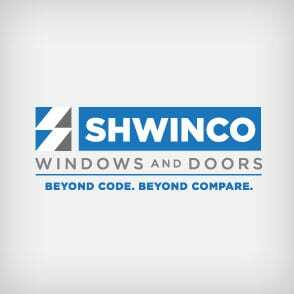 Shwinco Architectural Products LLC makes high-impact windows and doors that are strong enough to resist bomb blasts. 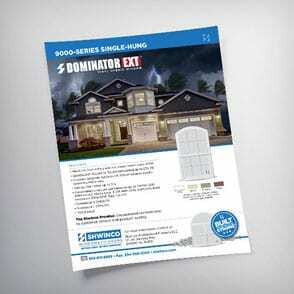 The company, based in Dothan, Alabama has been designing and building window and door systems since the late 1980s. Acquired in 2012, its current owners had made steady progress reorganizing and streamlining its manufacturing processes, but not its brand and marketing efforts. Shwinco had reinvented itself and they were ready to update the company brand and reinforce their reputation for quality and endurance. As well as ensure the messaging was not too technical for non-industry professionals. 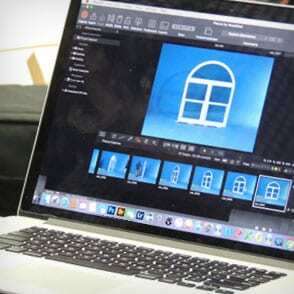 They turned to The Brand Architects to help, as a rebranding of the business was needed on a national level. Shwinco competes with well-known and established brands nationally, but they had little to no market visibility outside of their local region. 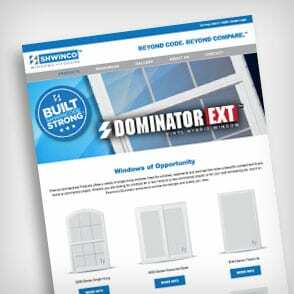 The Agency’s Brand Architects™ designed a whole new brand for Shwinco, including new logo, positioning statement, “seal of approval” icon, sell sheets and website. 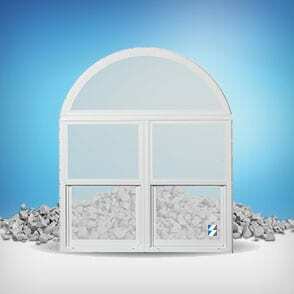 The hallmark of their products is their structural integrity – it was important to capture this in the messaging. 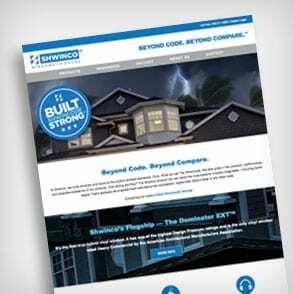 The Agency developed a positioning statement that encompasses Shwinco’s commitment to customer service and its dedication to quality by delivering the best product: Beyond Code. Beyond Compare. 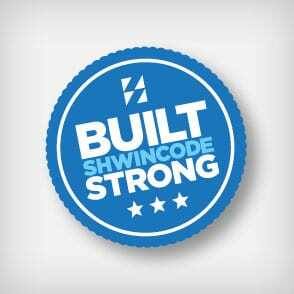 The new positioning statement accompanies the new logo and along with the “Built Shwincode Strong” seal of approval is applied across all marketing materials, collateral, website, digital marketing, and TV and video scripts. The Agency did a complete overhaul of the website. The design brings clarity to an otherwise technical product line and provides ease-of-use for consumers. Included in the design is a built-in 360° product viewer along with product sell sheets that distributors can download and print as needed. 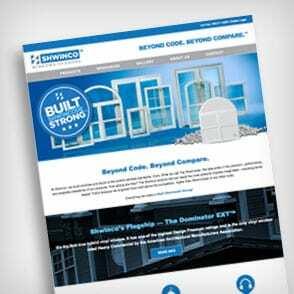 The new website and logo were praised by Shwinco customers and prospects as well as distributors. Spiro & Associates had successfully reinforced the positioning of the company to be a top-notch quality manufacturer in a very competititve environment. The Agency won Best Logo and Best Website at the Lee Building Industry Association (LBIA) Pinnacle Awards for our work with Shwinco.